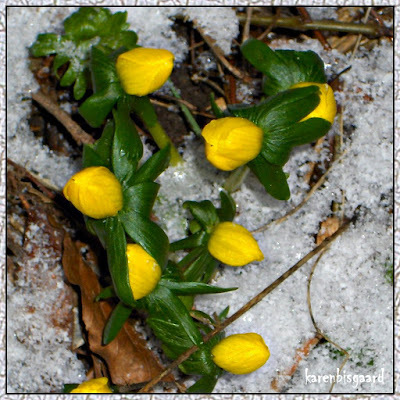 Karen`s Nature Photography: Eranthis Blooming in Snow. Leaves Covered by Hoar Frost. Red Berry Against Decaying Hydrangea Flowers. Eranthis Between Pieces of Wood. Red Berry in Snowy Garden.